According to the legend St-Hervé was a blind born poet and musician. The name day is on June 17. 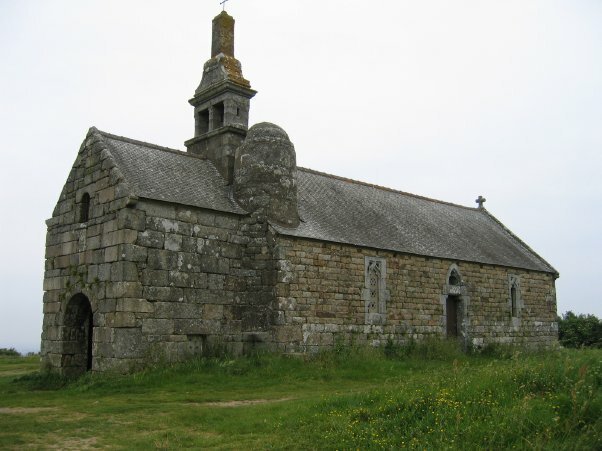 This is the chapel of St Hervé in the north of Bretagne. It seemes that he is the patron saint of the populair singers. with some galgos and greyhounds. As a ICT-expert (federal civil servant), I worked in Brussels at the "Federal Government of Internal Affairs". Yes, I was in to computers. I am retired now. Greyhounds and Galgo’s make great pets ! 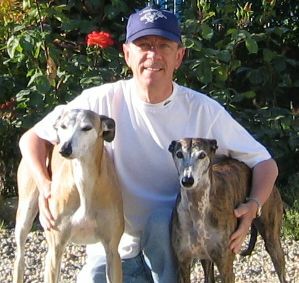 A year after adopting these wonderfull dogs, I decided to do more to promote the retired Greyhound and the abandoned Galgo. As weblmaster I am a volunteer since June 2006 and since 2011, November 1st I became President of this charity. 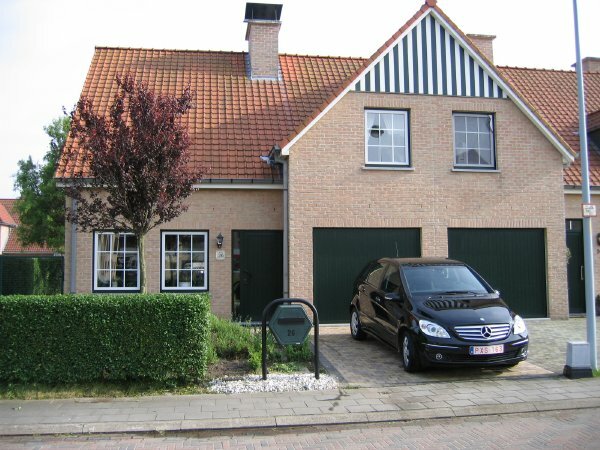 Zelf schreef ik er een verhaal in over de adoptie van Caifas en Jandra. Van elk verkocht boek gaat 1 euro naar de Stichting No Kill Europe. Web site design and content © 2005 All rights reserved.